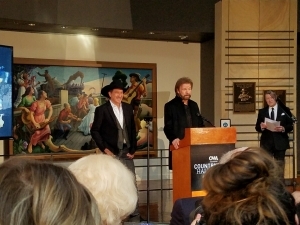 The Country Music Association announced its Class of 2019 for the Country Music Hall of Fame. With their high-energy live show, they broke out of the box like a bull from the bucking chute, earning four No. 1 singles in a row starting with “Brand New Man” in 1991. They remained in the Top 10, with very few exceptions, until their final release as a duo in 2009. 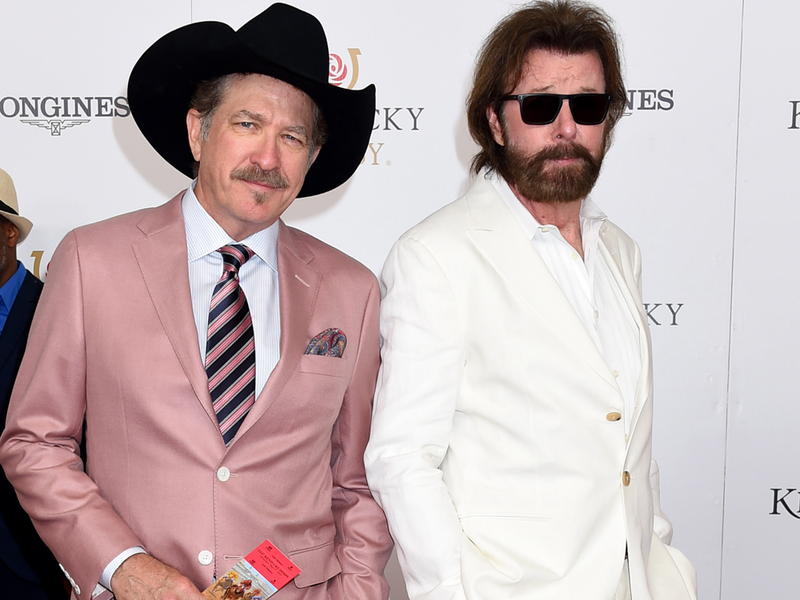 On April 5, Brooks & Dunn will release a new album, Reboot, which features an all-star cast of artists, includingKacey Musgraves, Kane Brown, Thomas Rhett, Brett Young, Lanco, Ashley McBryde, Midland, Luke Combs, Brothers Osborne, Cody Johnson, Jon Pardi and Tyler Booth. With their 11 platinum albums, they have amassed more than 80 industry awards, including two Grammy, 20 CMAs and 29 ACMs, making them the second-most-awarded act in ACM history. They have been named Entertainer of the Year four times collectively by the ACM and CMA. Twelve-time nominated and two-time Grammy Award winner Ray Stevens has spanned the generations with 60 years of comedic musical talent, including songs such as his multi-million selling hit “The Streak” and his classic pop standard “Everything Is Beautiful.” Throughout his career, Stevens has sold more than 40 million albums and continues daily office operations at his home base, Ray Stevens Music, located on Nashville’s historic Music Row. Stevens hosts Ray Stevens CabaRay Nashville, a 30-minute weekly music/talk show airing on Public Television. The music legend recently opened his very own Nashville entertainment venue, the CabaRay Showroom, a 35,000 square foot music venue where Stevens performs weekly live concerts. In the summer of 2018, Stevens’ legacy was cemented into the history of Nashville when he received his very own star on the Music City Walk of Fame. Jerry Bradley has left an indelible mark on the Country Music business. He was the head of RCA Records from 1973 to 1982. During his tenure, Ronnie Milsap, Dolly Parton and Jerry Reed achieved pop-crossover stardom, and Elvis Presley returned to the Country hit parade. Bradley signed Milsap to RCA. In addition, he signed Alabama, and was at the helm of the label as the group achieved stardom with its first chart-topping successes. He oversaw the creation of Country Music’s first Platinum-certified album, Wanted! The Outlaws, ushering in an entire era of Country Music with its stars Waylon Jennings, Willie Nelson, Jessi Colter and Tompall Glaser leading an “outlaw” movement. 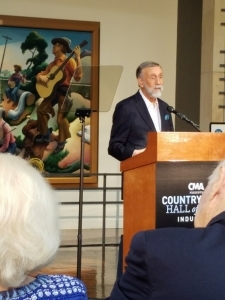 As a record producer, Bradley has worked with such Country Music Hall of Fame members as Eddy Arnold, Floyd Cramer, Charley Pride and Dottie West. 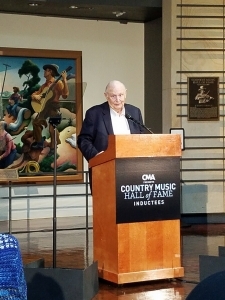 He was a longtime board member of the Country Music Association and CMA Board President in 1975. He was a key figure in orchestrating CMA’s annual Fan Fair. After the Gaylord company bought Acuff-Rose Publishing in 1985, Bradley was named the head of its newly formed Opryland Music Group. For OMG’s 16th Avenue label, Bradley continued to produce hits for Pride. Among the publishing company’s success stories were Kenny Chesney, Skip Ewing and Aaron Tippin, all of whom became top recording artists. Bradley belongs to one of the greatest dynasties of the Nashville music industry. His father was Country Music Hall of Fame member Owen Bradley. Jerry’s uncle was Country Music Hall of Fame member Harold Bradley, a member of the fabled “A-Team” of session musicians and believed to be the most recorded guitarist in history. Bradley’s uncle Charlie and cousin Bobby Bradley are noted recording-studio engineers. His aunt was the pioneering female Music Row office manager Ruby Bradley Strange. Jerry’s sister is retired BMI executive Patsy Bradley. His wife Connie Bradley was the chief of ASCAP’s Music City office from 1980 to 2010. His son is artist manager Clay Bradley.